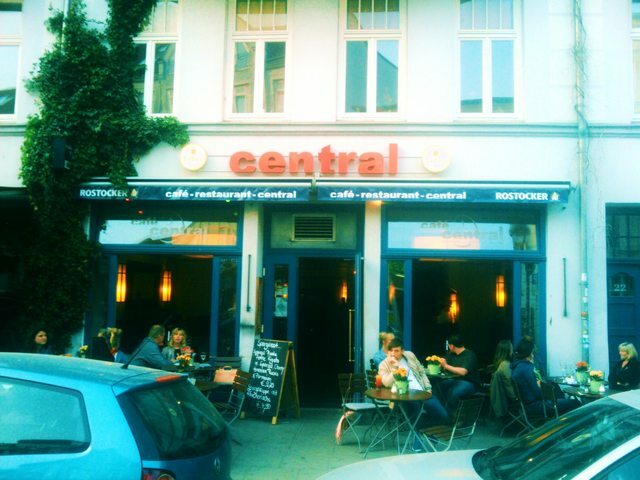 this week, I visited Café Central , enjoyed a nice coffee there, and asked the Café’s lovely Sarah Bauerfeld a few questions. After that, I interviewed a twenty-something year-oldcouple about their impressions! 1. Introduce yourself and your business to our readers! Hey, I’m Sarah, 22, this is a Café that serves breakfast, lunch, lets you enjoy a cup of coffees or even cocktails in the evenings. We have lots of space outside and inside, so feel free to come here whenever you like. 2. Why should people chose your place? What are your special attributes? It is in the middle of KTV, a district of Rostock where most of the action happens. Because of that you will always find people in our café that you like, or even meet new exciting people. 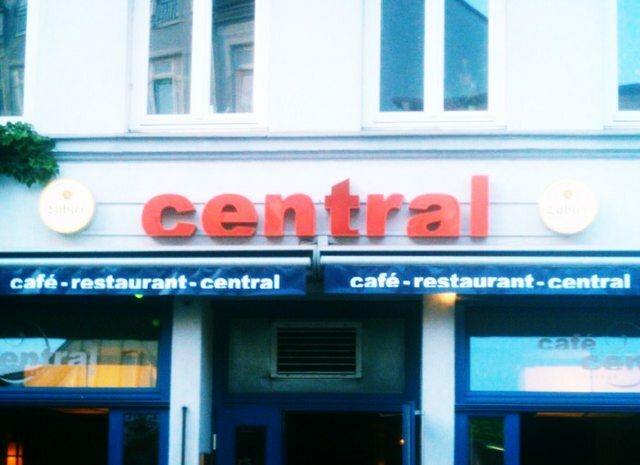 We do not limit ourselves to the young or old but we think it is important to appeal to a large audience, so café central is a great place for everyone to hang out. 3. What is the best time to come to this location? This place is always stuffed Fridays and Saturdays, and generally in the morning for breakfast. Since we offer so many different beverages and types of food, I think you can come here all the time, whenever you feel like it. We are prepared (smiles). 4. What would you recommend to order? What are your specialties? Most people expect to drink coffee in a café which, by the way is excellent here, but only few would think about eating a steak. I really recommend our food section because it is high quality and less expensive than dedicated steakhouses, for example. I asked a young couple if it liked the place or not. They rate different categories with stars from 1 to 5. 1. How did you find out about this place? Some years ago friends took us here and we fell in love with the place. 2. Have you been here before? – How regularly do you visit this place? We are here at least three times a month. But usually more than once a week . 3. What did you order today? We are both drinking a beer right now and ate a steak half an hour ago. Is it easy to find the place? Good location for future plans? Quality and Friendliness of staff? Was it easy to get a table? 4. Something you want to add? We prefer sitting outside, because the inside is a bit dark. It would be nicer with more light in there. After all we still love Café Central and recommend it to everyone who is looking for a good start to their evening, or day. Erik Schulze is a student of politics and anglistics at Universität Rostock and has lived in Rostock for some years now - just enough to find out about all the places you need to know in the beautiful city at the sea to enjoy your stay. This entry was posted in Café Central, Cafes, Pubs and Bars, Restaurants, Bakeries & Canteens and tagged alcohol, beer, cafe, food, where2eat&drink, wine. Bookmark the permalink. Sounds very good! I’ll try it! But another thing, have you ever heart about the “Barfuss”-Bar? The music is relaxed and creates a nice atmosphere. You’d like to sit outside without feeling cold? No problem, you’ll get a blanket. Hope you’ll have good nights in there!